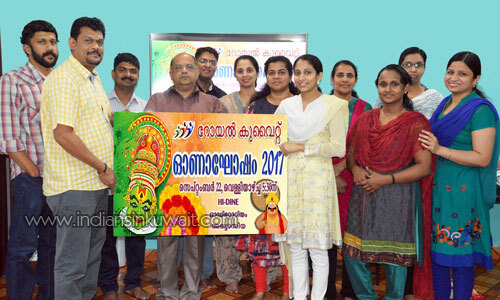 Royal Cultural Society revealed their Onam Celebrations 2017 brochure and raffle coupon. President James V. Kottaram handover the brochure to Mrs. Shalini Kannan. Prince Joseph, Shibu Kannoth, Jaison Anto and Cijo Angamali addressed during this occasion. The onam celebrations of the Royal Cultural Society will be conducted on September 22nd in Abbasiya.